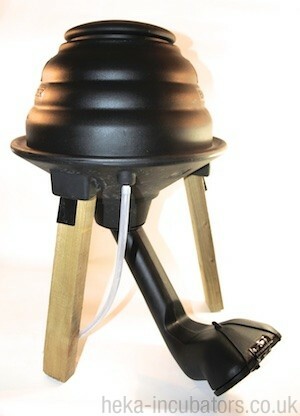 The Duck Feeder is made of robust, recycled plastic and has 3 strong wooden legs. 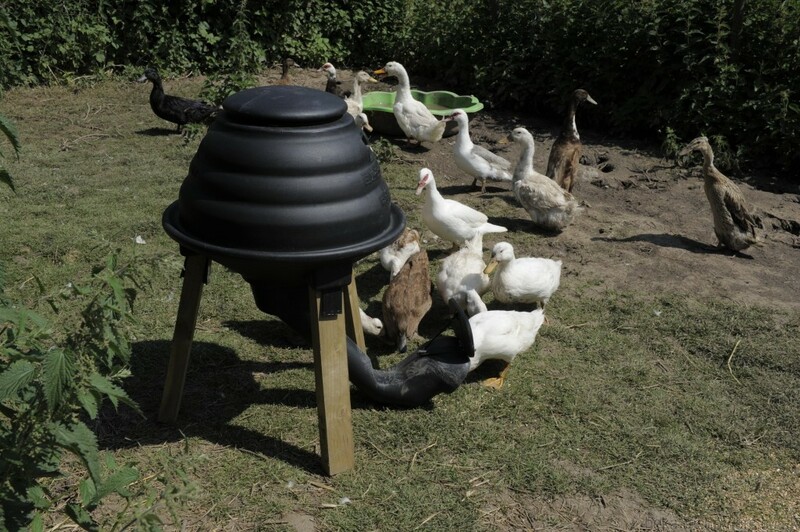 It has a special shaped feeding entrance that is ideal for ducks and which can be securely closed at night. The feeder has a large opening top lid that makes it easy to put the food in. 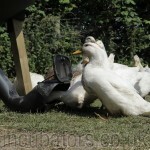 If you have 6 or more ducks, this is a really good feeder, holding enough food for you to go away for a few days without them running out of food. It holds two 20kg sacks of food.